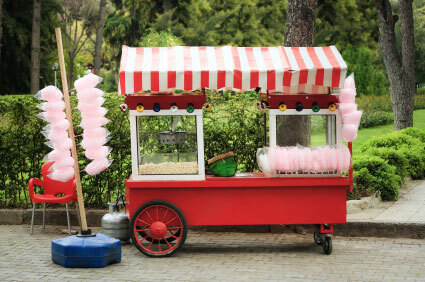 When first getting into the business of owning and running a concession stand, it can seem like a dream come true. It is a great way to own a business and to become the boss without all of the expense and overhead of a traditional brick and mortar type company. However, concession owners need to realize a few basic truths of getting into the field. Knowing some of these things will help to make the mental duress of running a business more bearable. Any good businessperson needs to create a detailed plan for any business venture they start, even a relatively small business such as a concession stand. Having a good plan in place is important for success. You need a plan for every different aspect of the business, from the marketing, to the food prep, to the inventory. Create these plans and keep reworking them until they are as perfect as they can be. Then realize that even with the best plans in the world, unexpected things can happen which may throw your plans into chaos. Your response and handling of the unexpected will determine whether or not you will have a successful business. When people feel great about going to work and are happy with their work environment, they will generally do a better job. They will be happier, and this can provide great dividends for your business. Happy employees work harder and tend to be more loyal than those who are not happy. They smile because they are genuinely pleased to work for your company and their upbeat attitude will transfer to your customers. Always try to give your employees the best work environment possible. If you don’t have a pleasant work environment then you can be sure your customers will feel this as well. People who get into the concession stand business believe that they need to add as many items to their menu as fast as they possibly can. This can actually be a poor idea. Instead, start your stand with fewer menu options and concentrate on making those items the best they can possibly be. Once you establish your stand and brand, you can then start to add in other menu items. However, many successful stands have only a handful of different items, including drinks. Therefore, think carefully before permanently adding new menu items. You might spend a few hours doing quite well, selling hand over fist. You might even have a few days, or a week or more of phenomenal sales. Then, just when you feel as though you’ve hit your stride and you know what you are doing, sales dry up. What did you do wrong? There’s a chance you didn’t do anything wrong. You will need to come to terms with the fact that that there will be slow days or weeks and busier times. During the slow times, it is wise to spend it to the best of your ability by looking for different ways to market your business, catch up on needed repairs, experiment with different menu items and try sales and other gimmicks to get your business moving. No matter what type of food you are selling, or how great it might be, it is unlikely that you will experience overnight success. Don’t expect to be rolling in the cash by the end of the week! It takes work and time to build your brand and to start making real money. With perserverance, hard work and a bit of luck, you can make a good living owning a concession stand.